Great! Cheaper than a factory correct yellow-top coil! If you are on a tight budget with a restoration, you know that the yellow-top coils that are factory correct are pretty expensive. 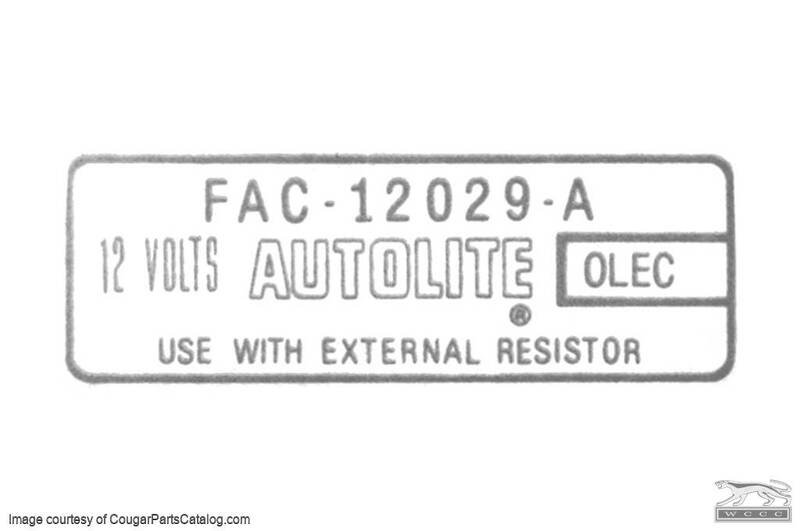 This allows a correct look with the Autolite decal on a standard coil. What I did with mine is paint the coil top yellow and add this decal to it, which looks correct. The decal itself is clear with white lettering. Make sure that your surface is clean and free of any debris, grease, or anything that will affect the adhesion. Some bubbling will happen, but with a rag, they can be removed. Looks good for what it is. If you want the real deal, though, buy a NOS yellow-top coil.